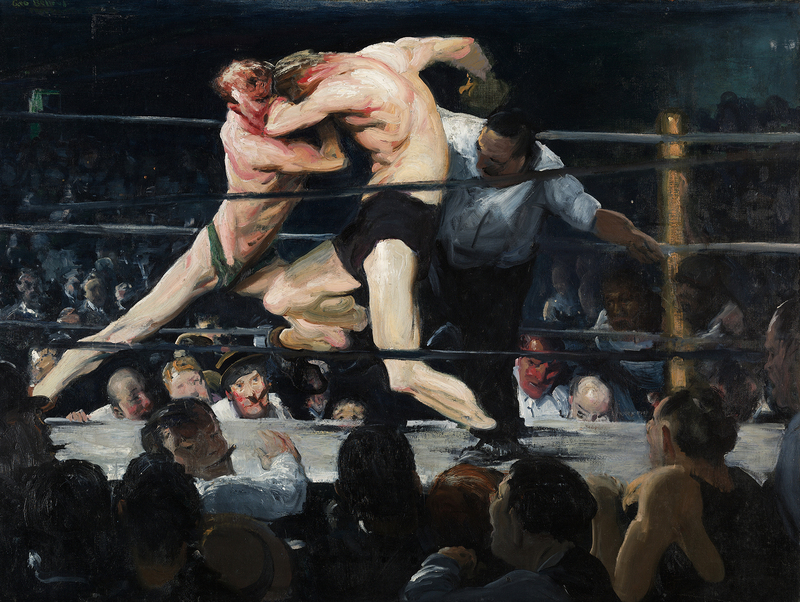 Very excited that the retrospective George Bellows, the first comprehensive examination of the great American realist painter’s career in nearly fifty years, opened today at The Metropolitan Museum of Art. 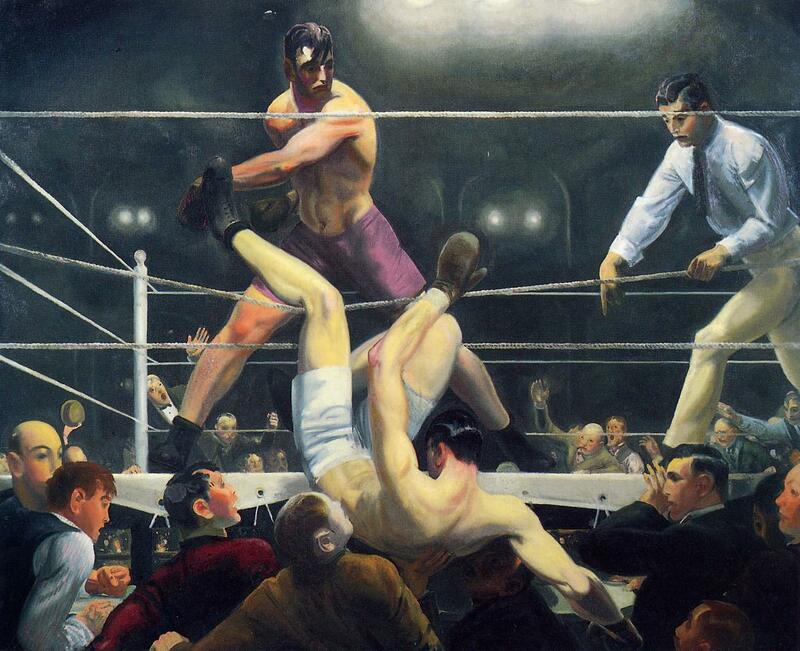 Perhaps best known for his depictions of boxers and early 20th century New York, Bellows has long been a favorite of mine. I’ve included here some of the iconic works on display (which you can click through to appreciate in greater detail), but I am most looking forward to making new discoveries in his oeuvre, particularly in the area of lithography. Of the nearly 120 works on display at the exhibition, approximately a third are devoted to scenes of New York. Some, like the Cliff Dwellers (1913) below, offer insight into tenement life in Lower Manhattan with rich detail — did you notice the street car on its way to Vesey Street? Bellows was a member of the Ashcan School, a realistic artistic movement in direct response to American Impressionism and its celebration of light. 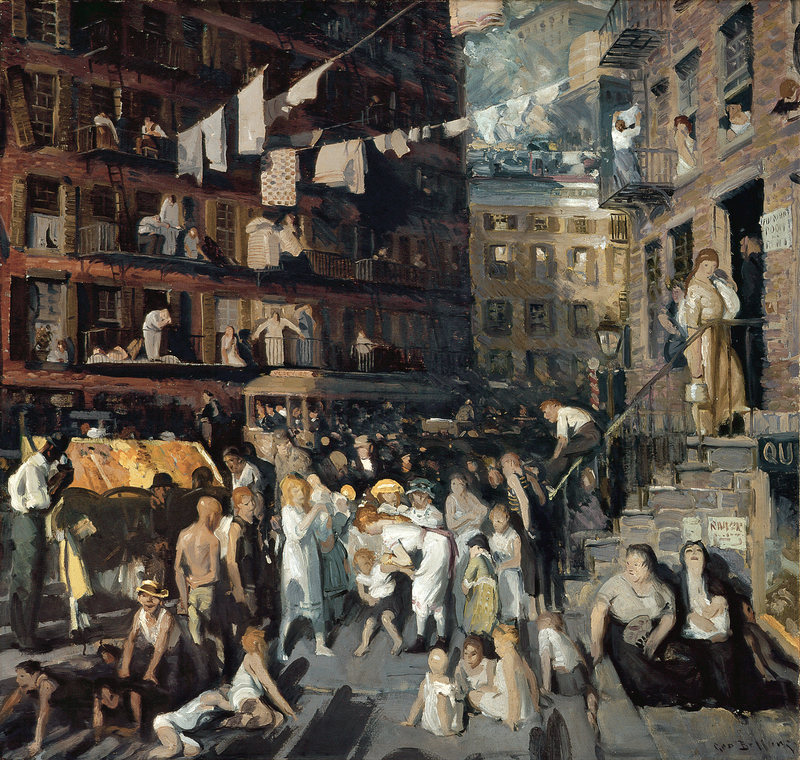 Darker in tone and unafraid of dealing with the harsh realities of poverty and the unsavory characters of urban life, Ashcan School art challenges the viewer with its journalistic pursuit of truth. Fittingly, Bellows’ canvas Up the Hudson (1908) holds the distinction of being the first Ashcan painting acquired by the Metropolitan, in 1911. 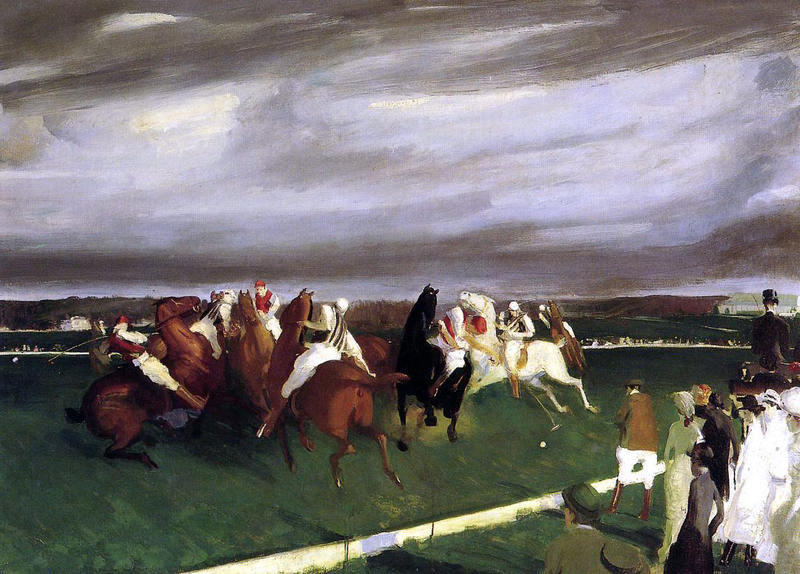 The artist was only 29 at the time, making him one of the youngest artists represented in the museum’s collection. 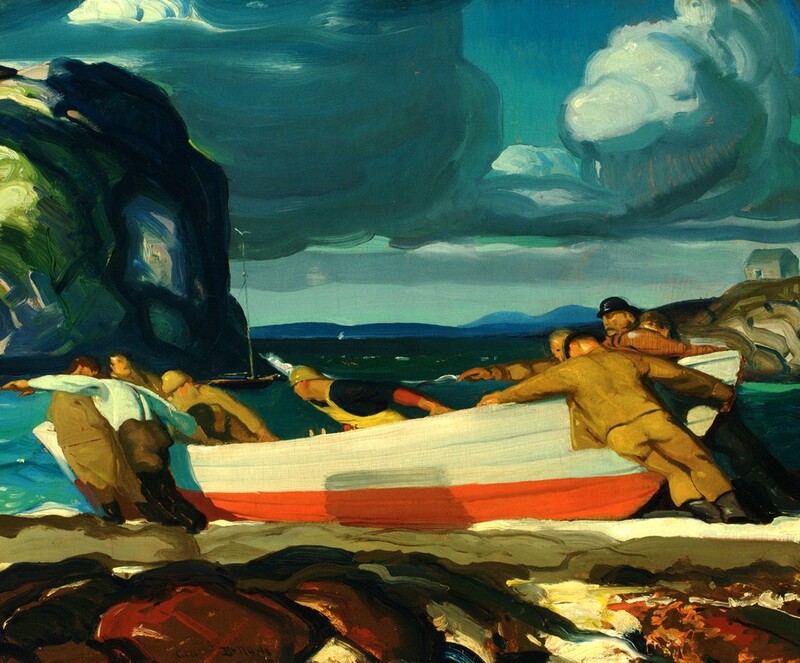 George Bellows is on display at The Metropolitan until February 18, 2013, after which it will travel to the Royal Academy of Arts, London (March 16 – June 2013). 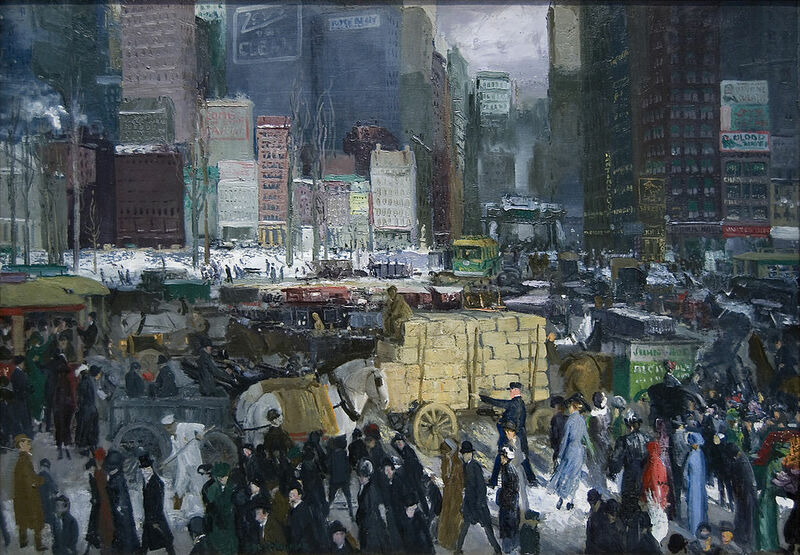 The “New York” picture is a collage after Bellows, not his original in oils. Joe, you are correct (and eagle-eyed). I have updated with the original. Thank you for your assistance. 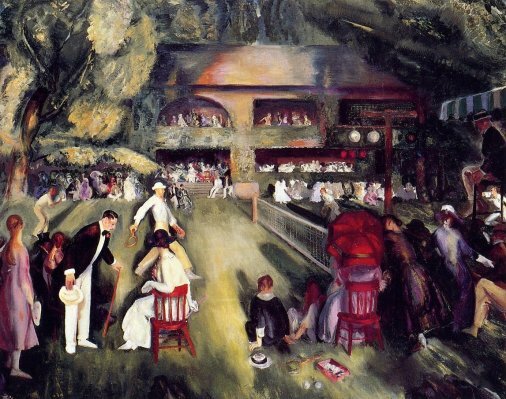 You are currently reading On the Docket: George Bellows at The Metropolitan Museum at Quite Continental.